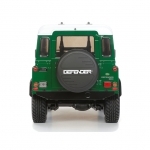 CC-01 Chassis is Tamiya’s ultimate platform for mounting precise scale renditions of off-road classics. 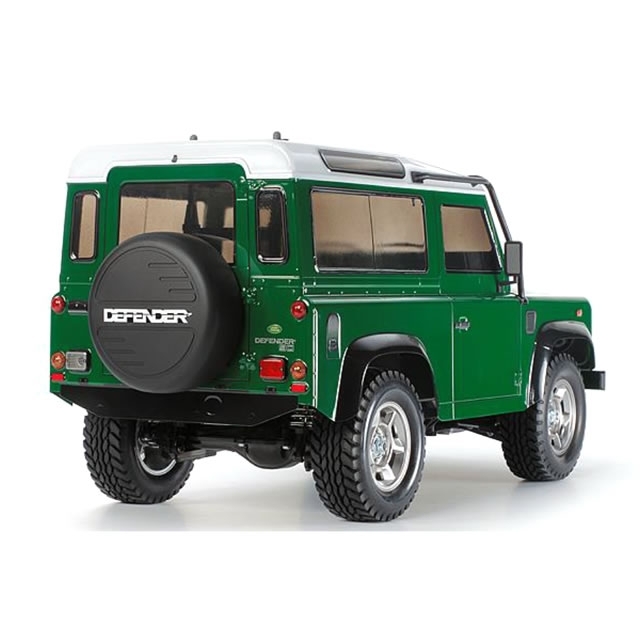 With built in wheel arches, sealed front and rear gear boxes with precision engineered differentials and shaft driven 4WD via universal joints, it replicates all the rugged realism of the Defender 90. 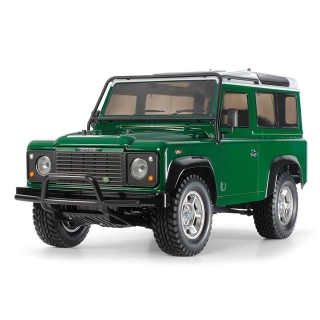 As such it is the ultimate platform to carry this iconic body, Lights, radiator, body panels, wheel arches, door mirrors, roll cage and door hinges – Tamiya totally capture the spirit of this ultimate off road icon. 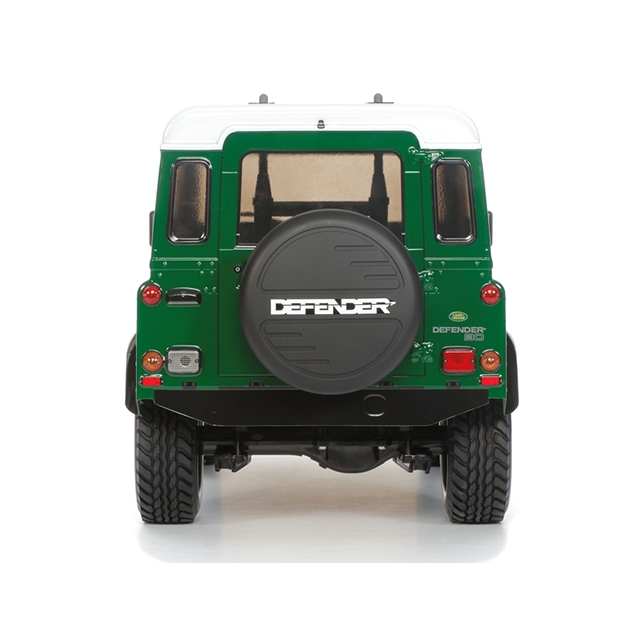 The classic Defender 90 form is accurately captured by the polycarbonate body, with slide moulding used for great detail. Please Note: Complete vehicle shown in photos are for illustrative purposes only. This model is a kit requiring assembly and additional items. See Required to Complete list above for full list of items required to complete the model.